As a resident of Whidbey Island, and someone who loves history, pop-culture, and obscure knowledge, I thought it would be fun to share some interesting facts and info about Whidbey Island. Many think that Whidbey Island was discovered by Joseph Whidbey, but in fact the first known European sighting of Whidbey Island was during the 1790 Spanish expedition of Manuel Quimper and Gonzalo López de Haro on the Princesa Real. The Island was first fully explored in 1792 by Captain George Vancouver. In May of that year, Royal Navy officers and members of Vancouver’s expedition, Joseph Whidbey and Peter Puget, began to map and explore the areas of what would later be named Puget Sound. After Whidbey circumnavigated the island in June 1792, Vancouver named the island in his honor. Although Whidbey island was explored in 1792, it wasn’t until 1840 that a European settler dared stay on the Island overnight. In 1850, Colonel Isaac N. Ebey became the first permanent white settler on Whidbey Island. 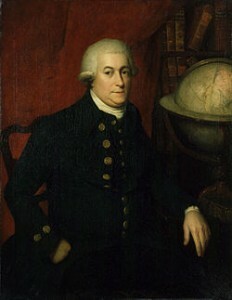 Captain George Vancouver’s Expedition (1791–1795) was a four-and-a-half-year voyage of exploration and diplomacy. The expedition circumnavigated the globe, touched five continents and changed the course of history for the indigenous nations it touched and several European empires and their colonization of the Americas. The expedition at various times included between two and four vessels, and up to 153 men, all but six of whom returned home safely. Puget Sound, after (the ship) Discovery’s lieutenant Peter Puget, who explored its southern reaches. Discovery Bay, Discovery Island and Port Discovery. Whidbey is Not the Longest Island in the lower 48 States. 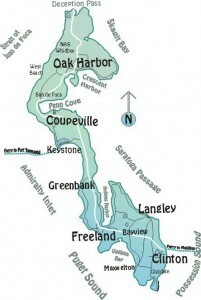 Whidbey Island is often claimed to be the longest island in the continental United States (or another similar claim), but according to the Seattle Times it cannot be correctly considered so. It is ranked as the fourth longest and fourth largest island in the contiguous United States, behind Padre Island, Texas (the world’s longest barrier island); Long Island, and Isle Royale, Michigan. In the state of Washington, it is the largest island, followed by Orcas Island. The ferry system has its origins in the “Mosquito Fleet“, a collection of small steamer lines serving the Puget Sound area during the later part of the nineteenth century and early part of the 20th century. By the beginning of the 1930s, two lines remained: the Puget Sound Navigation Company (known as the Black Ball Line) and the Kitsap County Transportation Company. A strike in 1935 forced the KCTC to close, leaving only the Black Ball Line. Toward the end of the 1940s the Black Ball Line wanted to increase its fares, to compensate for increased wage demands from the ferry workers’ unions, but the state refused to allow this (Government Takeover Conspiracy? ), and so the Black Ball Line shut down. In 1951, the state bought nearly all of Black Ball’s ferry assets for $5 million (Black Ball retained five vessels of its fleet). The state intended to run ferry service only until cross-sound bridges could be built, but these were never approved, and the Washington State Department of Transportation runs the system to this day. The agency maintains the largest fleet of ferries in the United States at 24 vessels, carrying 22 million passengers in 2014. As of 2014, it was the largest ferry operator in the United States, and the fourth-largest ferry system in the world. 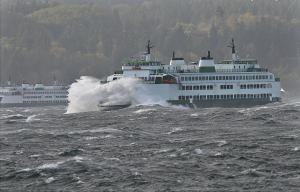 The Whidbey Island Mukilteo/Clinton Ferry run is one of only two profitable WSF ferry runs as of 2013, one of the reasons we recently received the new Tokitae ferry on our route. Jack Metcalf (1927-2007), United States House of Representatives, grew up on Whidbey Island in the 1930s. Whidbey Island has been a strategic defense location for Puget sound and The Pacific Northwest for over 100 years. The first example of this was the construction of Fort Casey and Fort Ebey . Designed as part of the massive modernization program of U.S. seacoast fortifications construction on Fort Casey began in 1897. In 1901, her big guns on disappearing carriages, which could be raised out of their protective emplacements so that the guns were exposed only long enough to fire, became active. However, the fort’s batteries became obsolete almost as soon as their construction was completed. The invention of the airplane in 1903, and the subsequent development of military aircraft made the fort vulnerable to air attack. 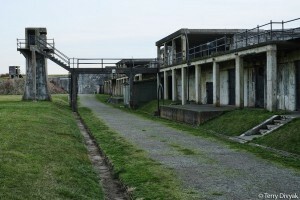 Most of Fort Casey’s guns and mortars were removed during World War I, where they were mounted on railcars to serve as mobile heavy artillery. Some of these weapons were returned to the fort after the war, and were scrapped during World War II as 16-inch guns and other weapons at other forts superseded them. 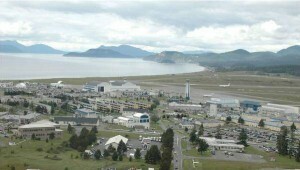 The military legacy continued however with Naval Air Station Whidbey. It was commissioned as an active U.S. Navy installation on 21 September 1942. The main portion of the base is called Ault Field in memory of Commander William B. Ault, who was listed ‘missing in action’ during the Battle of the Coral Sea (1942). Ault Field is located approximately three miles north of Oak Harbor. NAS Whidbey Island is the premier naval aviation installation in the Pacific Northwest and home of all Navy tactical electronic attack squadrons flying the EA-6B Prowler and EA-18G Growler. Adding to the depth and capability of the air station are four P-3 Orion Maritime Patrol squadrons and two Fleet Reconnaissance squadrons flying the EP-3E Aries. In all, there are 17 active duty squadrons and 3 Ready Reserve squadrons currently based at NAS Whidbey Island. The air station also maintains a Search and Rescue Unit, flying three Sikorsky Nighthawks. With the addition of the Nighthawks, Navy Search and Rescue provides 24-hour day and night maritime, inland and mountainous rescue support for Department of Defense personnel and the greater Pacific Northwest community. NASWI SAR primarily serves military aircrews, but missions aiding civilians in distress are often approved and executed.